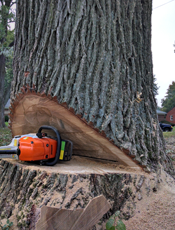 Advanced Arbor is capable of taking care of any of your tree removal needs: big or small. We have both the knowledge base and the equipment to carry out your plans. Throughout the removal process we are intentional about causing as little disturbance as possible. We make sure to use the method that is least disruptive to your homes and property. We also thoroughly clean up after ourselves in order to make things look even better than when we first arrived. Dead Trees – Dead trees are dangerous because they are more prone to fall on you or your property during a storm, therefore they must be removed immediately. Damaged Trees – If a damaged tree cannot be fixed then it must be removed so that it doesn’t contract a disease and die. Hazardous Trees – Hazardous trees can be trees that are leaning or any tree with a weak root base. 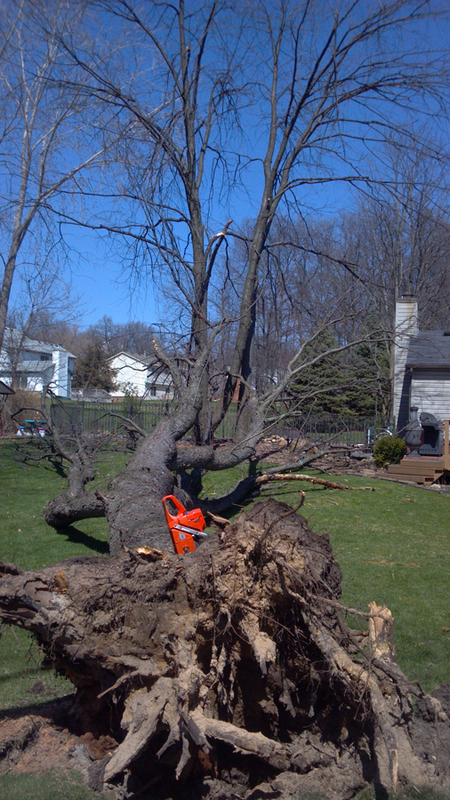 If you are concerned about a hazardous tree, our team can evaluate the tree and see if its removal is necessary. 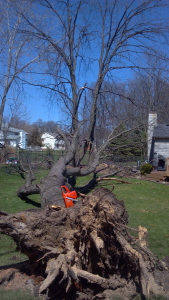 Trees in the Wrong Location – Trees that are too close to homes and structures pose serious threats during destructive weather and therefore, are good candidates for removal. The array of damage that they can cause when left to their own devices can be very costly to you. Construction and Landscaping – We can remove the pesky trees that stand in the way of you renovating or adding on to your house or business. By removing them we can open up much needed space. Tree Thinning – Hiring us to thin the trees in your area can provide you with many positive benefits. Thinning allows more room for trees to grow and flourish; it increases airflow and sunlight penetration; and it also reduces the population of mosquitoes and insects by reducing the size of their breeding ground. Aesthetics – Your property value can be increased by removing out of place, problematic trees. This enhances the beauty of your home, driving up the value. 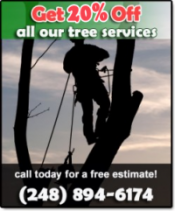 Whatever your tree removal needs may be, Advanced Arbor is here to see it through. Contact us today for a free estimate. We would love to meet with you to formulate the best plan of action to get the job done.